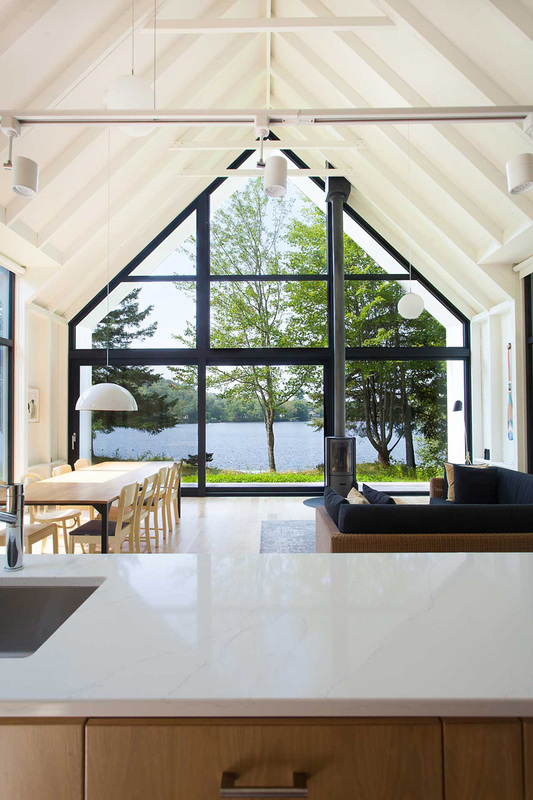 Right on the shores of Lac Plaisant in the village of Saint-Élie-de-Caxton, the Window on the Lake house rests on the same land as an old family cottage. 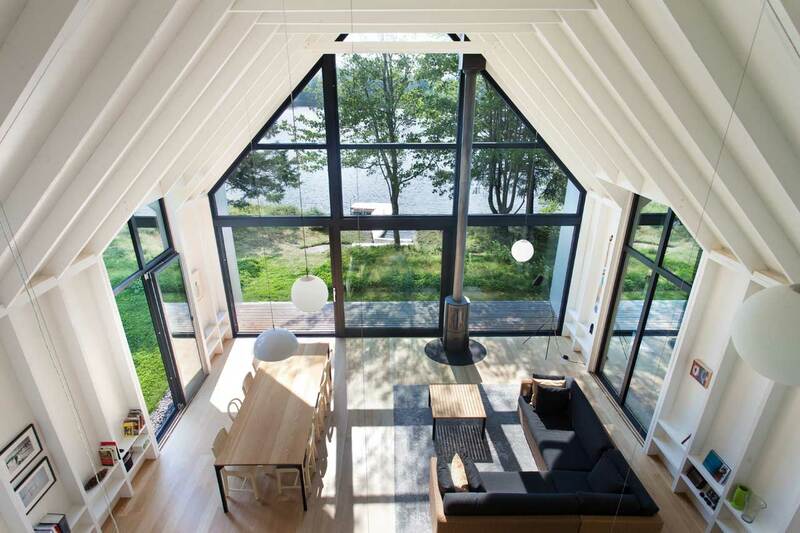 Design by YH2, the minimalist abode features wood construction both outside and in with a gable roof that makes for optimal views of the water. 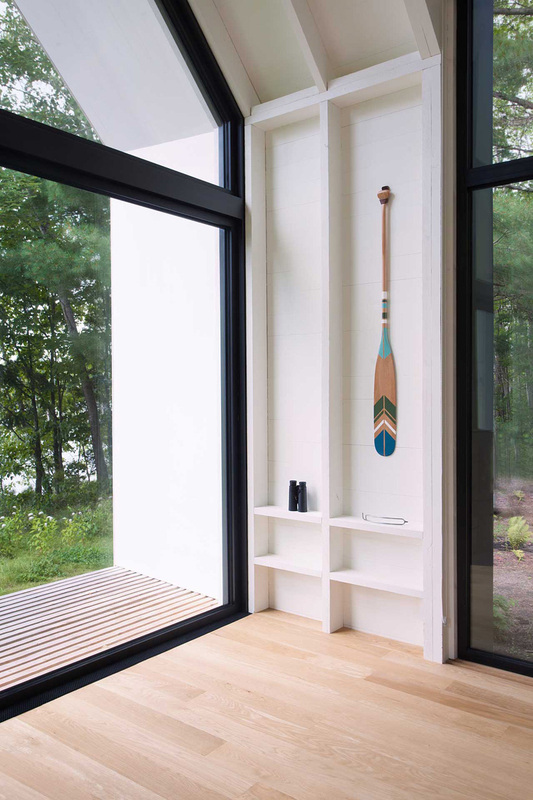 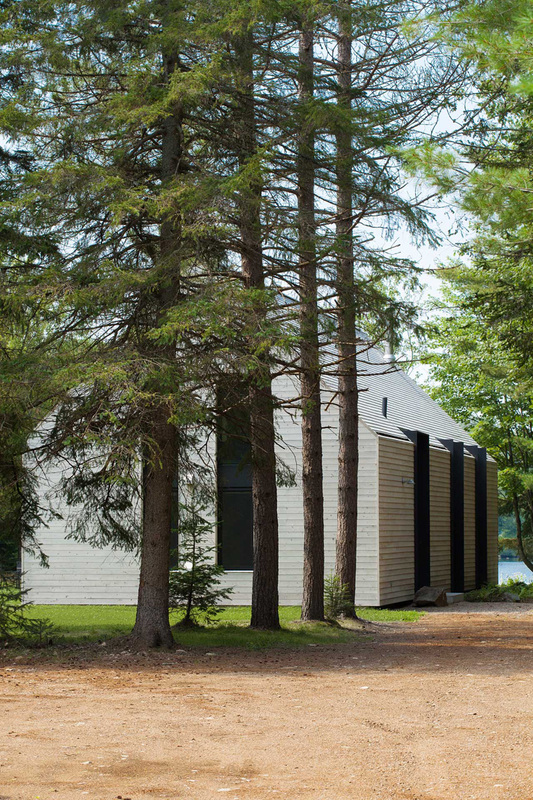 The architect kept the design simple and refined, dedicated to cottage life, making it perfect for family vacations. 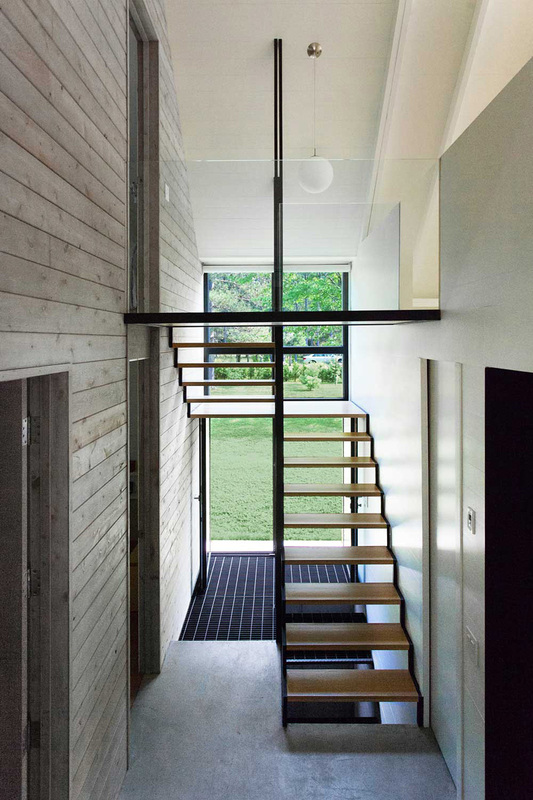 The cottage is situated in a small opening with a hidden foundation, which helps reduce the scale of the house. 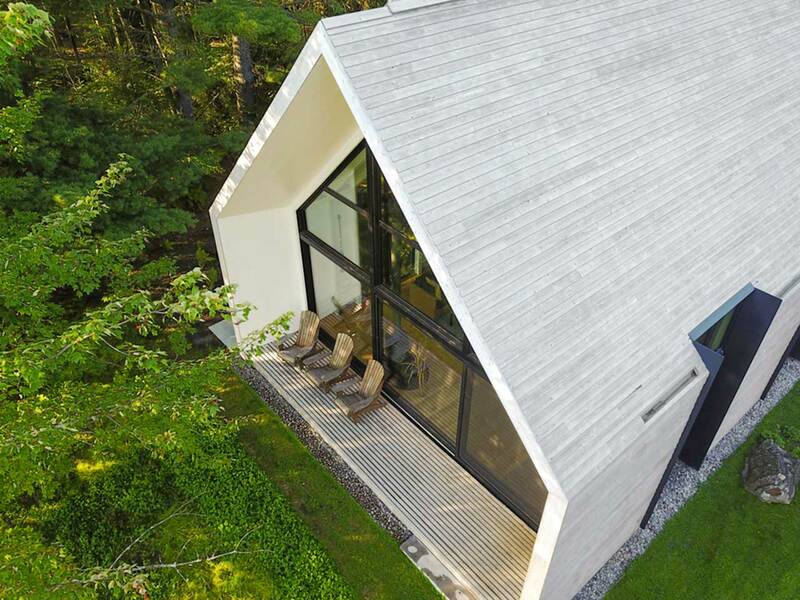 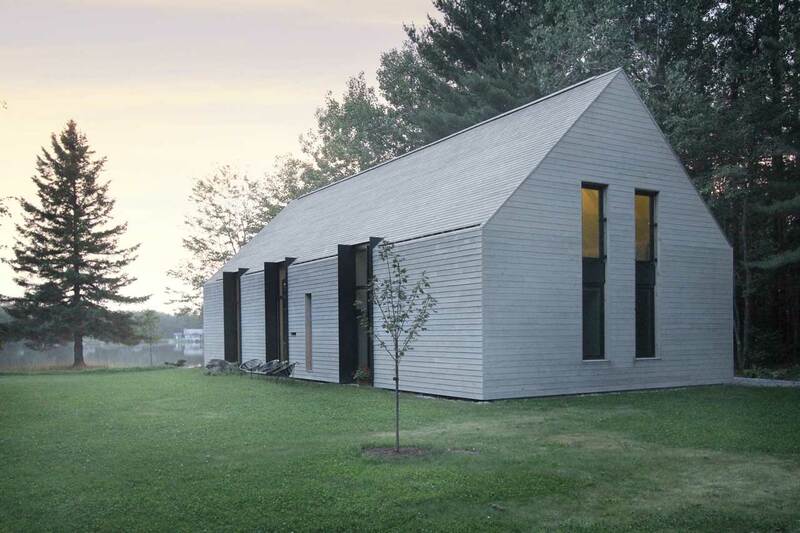 Both the roof and the sides of the house are clad in white cedar boards for a minimalist look. 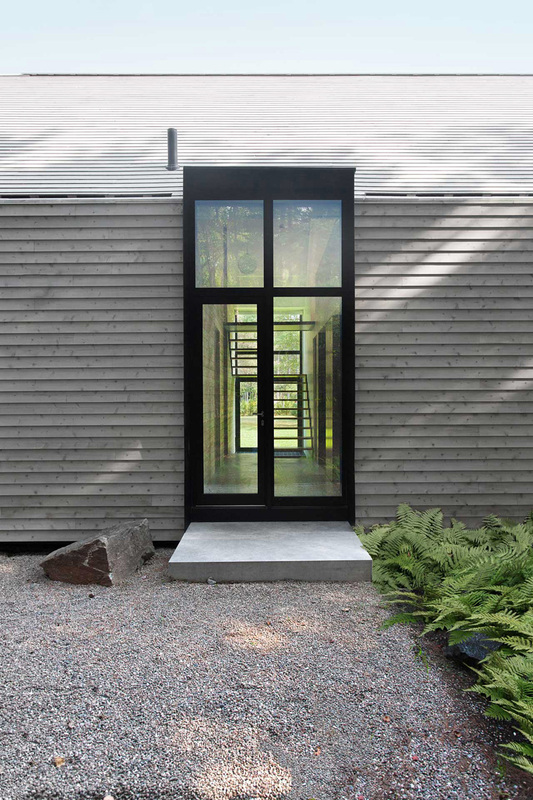 Along the sides, three tall windows keep the interior filled with light. 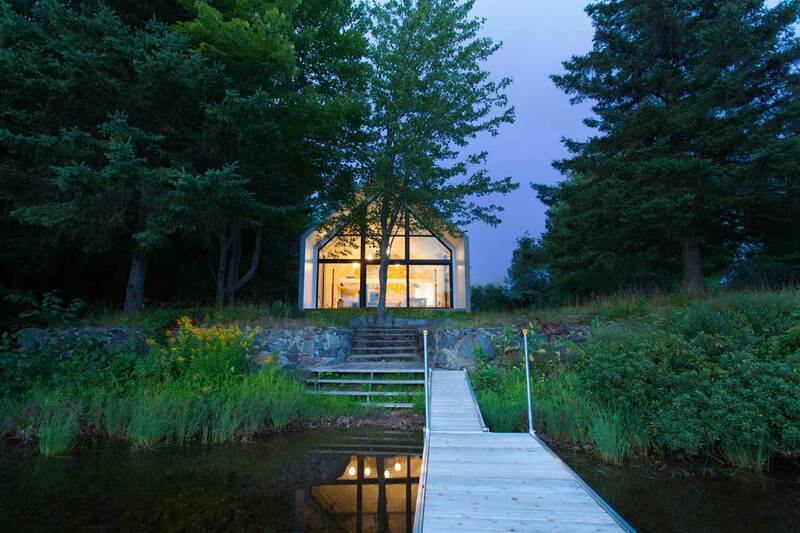 The entire south side of the modern cottage is made of glass framing the picturesque view outside. 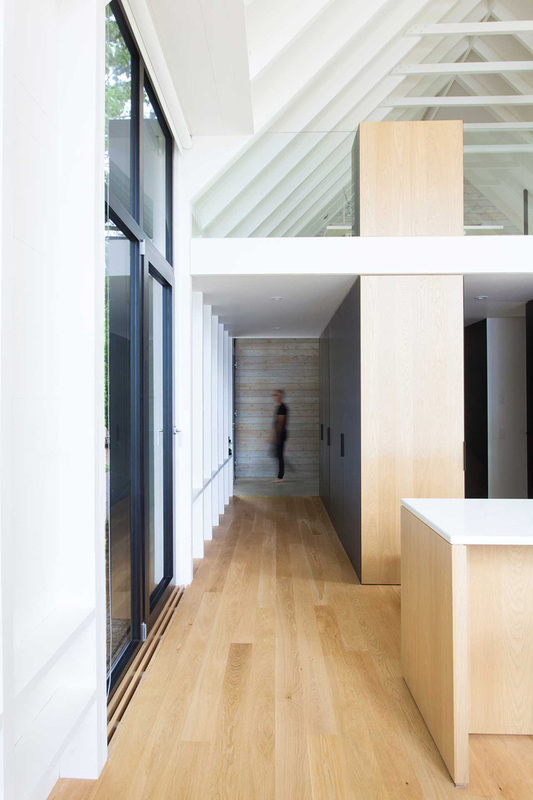 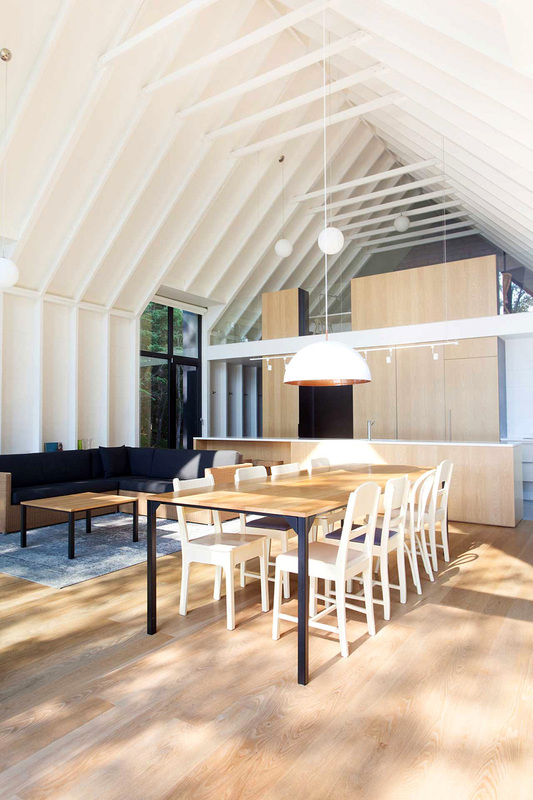 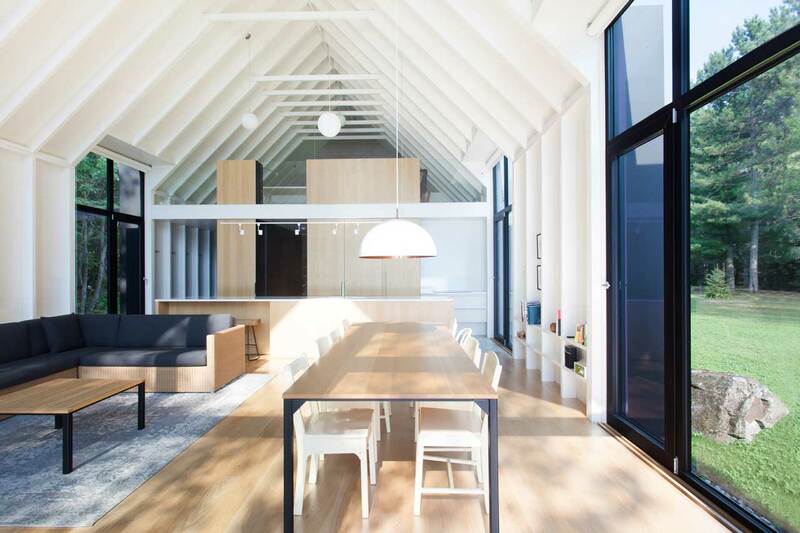 The main living space has a double-height gable ceiling that’s been painted white, keeping the space light and bright. 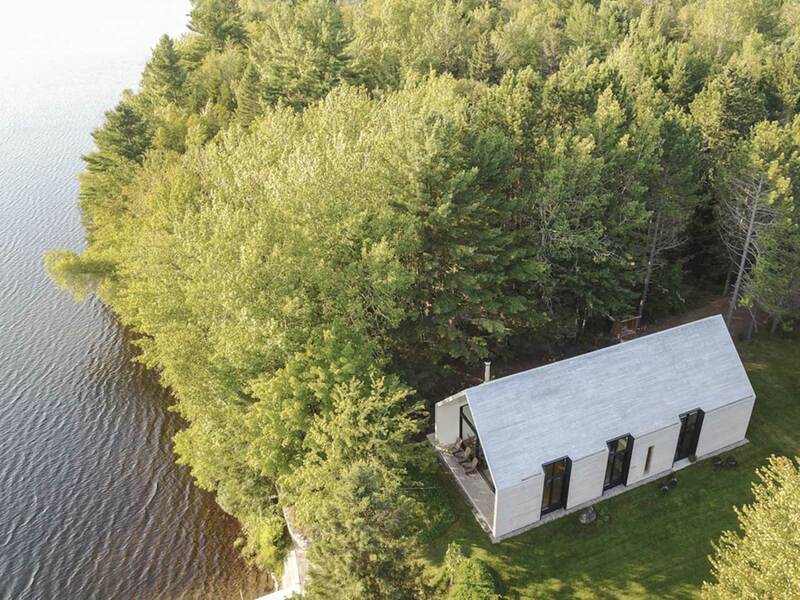 Overall, the cottage sleeps up to 12 people in two bedrooms on the ground floor and one open sleeping loft on the second floor.